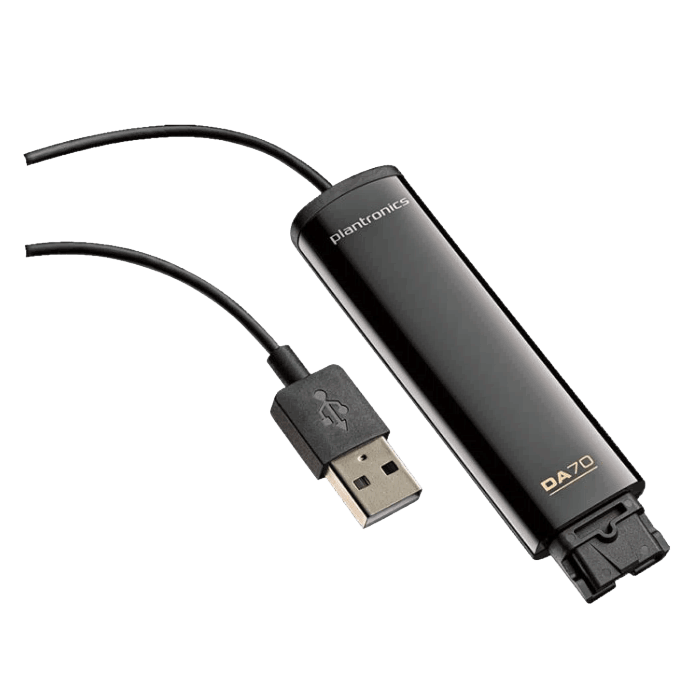 Plantronics DA70 USB Audio Processor - Headsets Direct, Inc.
TECH TIP: Call answer/end, mute and volume controls are controlled within your computer’s settings. 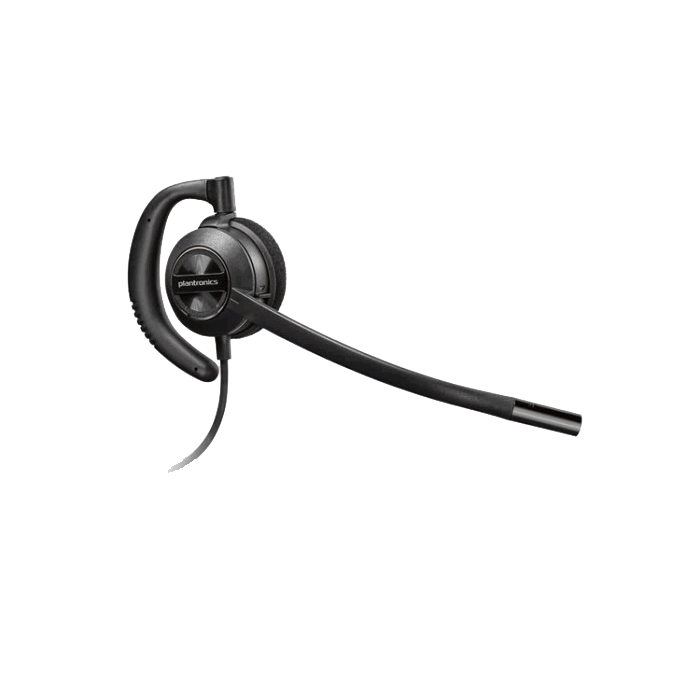 Consider the Plantronics DA80 for inline controls. As you migrate to computer and VoIP telephony systems, having the right equipment makes all the difference. The Plantronics DA70 audio processor, along with any H-series headset, will make for a smooth transition. The DA70 plugs into any USB port giving you advanced audio processing, noise-canceling and echo management. 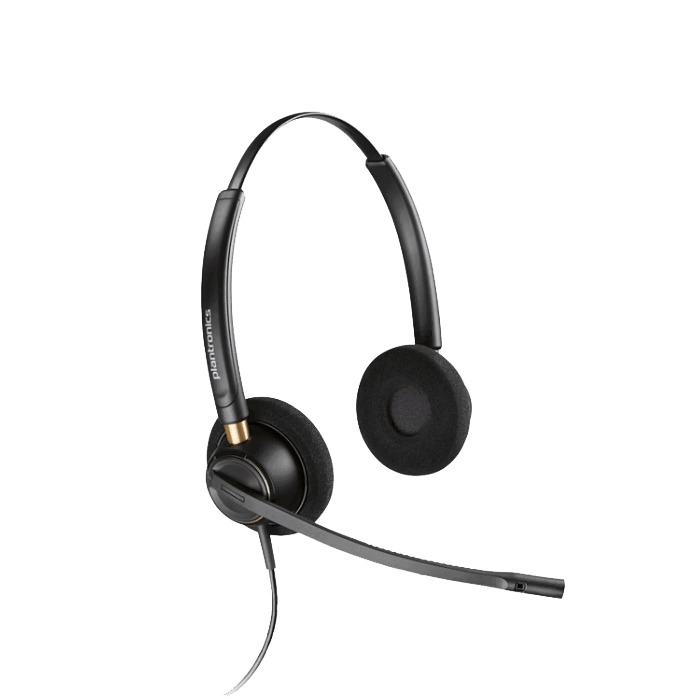 By downloading Plantronics Spokes (free), you gain features and confidence knowing your audio device will work seamlessly with your softphone. 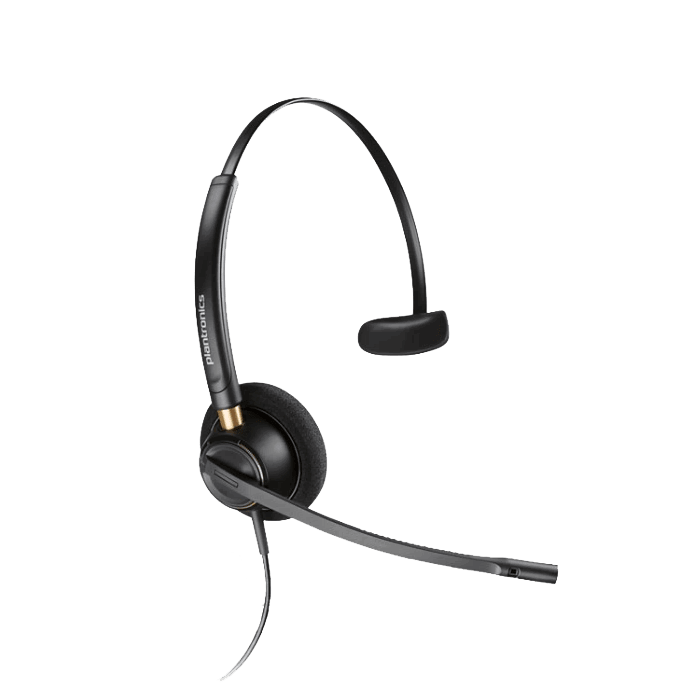 With a long cord you will enjoy ample length with your H-series headset attached to reach around your desk. If you need to walk away or grab a file from afar, simply unplug your headset at the quick disconnect putting your caller on hold. When you return, re-connecting the quick disconnect joins you back with your caller. Setup is as easy as plugging into your PC, and any necessary drivers are automatically installed on most systems. You can be up and talking in seconds. 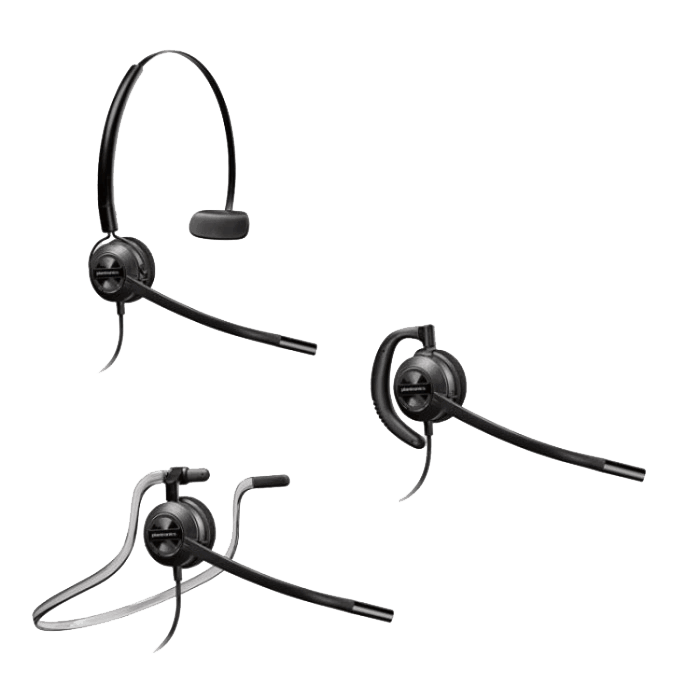 I had a Pantronics headset for my phone – and then needed one for long video conference meetings. Headset Direct answered my emailed question immediately when I asked if there was an adapter I could connect to my computer. It worked really well and made the meetings much easier to handle. Fast service and knowledgeable reps.
Plantronics DA70 is exactly what we needed. Our order was correct and arrived very quickly. We always use Plantronics equipment.